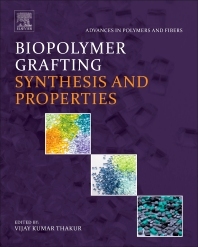 Biopolymer Grafting: Synthesis and Properties presents the latest research and developments in fundamental of synthesis and properties of biopolymer-based graft copolymers. The book presents a broad overview of the biopolymer grafting process, along with trends in the field. It also introduces a range of grafting methods which lead to materials with enhanced properties for a range of practical applications, along with the positives and limitations of these techniques. The book bridges the knowledge gap between the scientific principles and industrial applications of polymer grafting. This book covers synthesis and characterization of graft-copolymers of plant polysaccharides, functional separation membranes from grafted biopolymers, and polysaccharides in alternative methods for insulin delivery. Recent trends and advances in this area are discussed, assisting materials scientists and researchers in mapping out the future of these new "green" materials through value addition to enhance their use.